These 19th century Brazilian amulets, known as balangada, were hammered from silver in the form of pomegranates, guava, sugar apples, and other exotic fruits. Symbols of fertility, they were the bling of their day, adorning women’s wrists and waists, and when not being worn, their homes. Crafted by enslaved men from equatorial Africa for their own womenfolk, balanganda represent the final efflorescence of the Benin people’s metalworking skills, which reached an apogee in the figurative bronzes coveted by European kings in the 17th century, as they are today by museum curators. Like the jazz music that would come into being in the United Stares, Brazilian balanganda testify to the persistence of the creative impulse under duress, and the inventiveness of black culture in the New World. 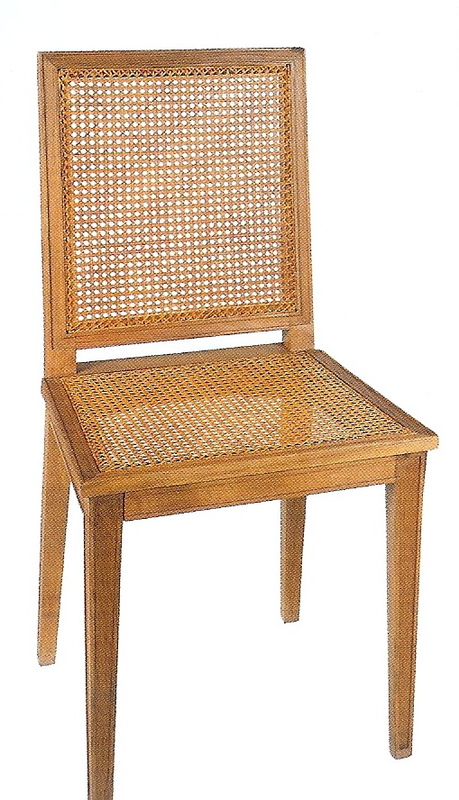 Now, as in the past, balangada could be worn to dramatic effect, but they are also suited to their other original purpose, the decoration of the home. That’s why we show them ornamenting a Christmas tree, and heaped in a Venini glass bowl. This ravishing Art Nouveau silver-plated centerpiece, decorated with butterflies, flowers, and budding tendrils, was designed by the German sculptor Albert Meyer. It retains the original applied patina, the cobalt-blue glass liner, and the stamp of its maker, the Württembergerische Metallwarenfabrik (the Tiffany of Mitteleuropa, you might say). Celebrated internationally, this firm exhibited in every world’s fair, and maintained showrooms in Württemberg, Berlin, Vienna, and Warsaw. To capture the Anglo-Saxon market, they published an English-language catalog, which featured this centerpiece, and built a six-story salesroom, office, and studio in London, which was christened Wurtemberg House. In the late 1930s, Line Vautrin launched her career by supplying jewelry to Elsa Schiaparelli. After the war, in addition to her jewelry, she began making small sunburst mirrors, which sell for fortunes today. Having fallen into obscurity by the 1980s, she was rediscovered by Paris artist and tastemaker Pierre Le-Tan, which led to Rei Kawakubo commissioning jewelry for her Comme des Garcons label. A good Catholic, Vautrin occasionally incorporated religious imagery in her designs. The figure in this enameled, gilt-bronze clip was based on the medieval, bejewelled gold reliquary of Sainte Foi in the abbey church at Conques, which contains her remains to this day. This pin may well have been cast from an actual leaf. But the nib at the end of the gently curving stem, by which the pin is affixed, reveals the subtle eye of the unknown craftsman who made it. In the 1920s, Edward, the young and handsome Prince of Wales — the future King Edward VIII and then the Duke of Windsor – made a splash on the international social scene. That’s when his device of three plumes became a reigning motif in the decorative arts. This mirror-framed dressing table mirror, which would also serve nicely as a photo frame, is acid-etched with those plumes on the cresting. It dates to the 1930s, the decade of his abdication and his marriage to Wallis Warfield Simpson, the glamorous American divorcee. In centuries past, it was rare for an artist to be ennobled for his mastery, but Baron Marochetti was born into a noble family years before he proved his mettle as a sculptor. After studying in Rome he moved to Paris, where he was honored with the patronage and friendship of King Louis-Philippe. When the king fled France for England at the outbreak of the 1848 Revolution, he took his court sculptor with him. On arrival, Queen Victoria noted in her diary that Marochetti was “very agreeable, pleasant and gentlemanlike.” And when that famously laconic monarch pronounced the bust he modeled after Prince Albert, her consort and beloved husband, “extremely successful,” the prince commissioned a marble version as a gift for his wife. To capitalizing on its overnight renown, Marochetti created this signed bronze version that celebrated the sitter’s good looks, and certified the artist’s mastery. It also delights the contemporary eye with a madcap juxtaposition of Victorian facial hair and the off-the-shoulder toga of an ancient Roman. The elaborate coiffure, sumptuous dress, pearl collar, and jeweled necklace speak to the sitter’s wealth, as the coat of arms does to her exalted station. At first sight we assumed the painting was by a Spanish hand, but after consideration, we’ve come to wonder if it might not be South American. In that case, the sitter would be a member of a grand Spanish or Portuguese family that immigrated to the New World. In any case, the painting quite likely depicted one in a series of “court beauties,” aristocratic women whose likenesses hung in galleries devoted to their charms. 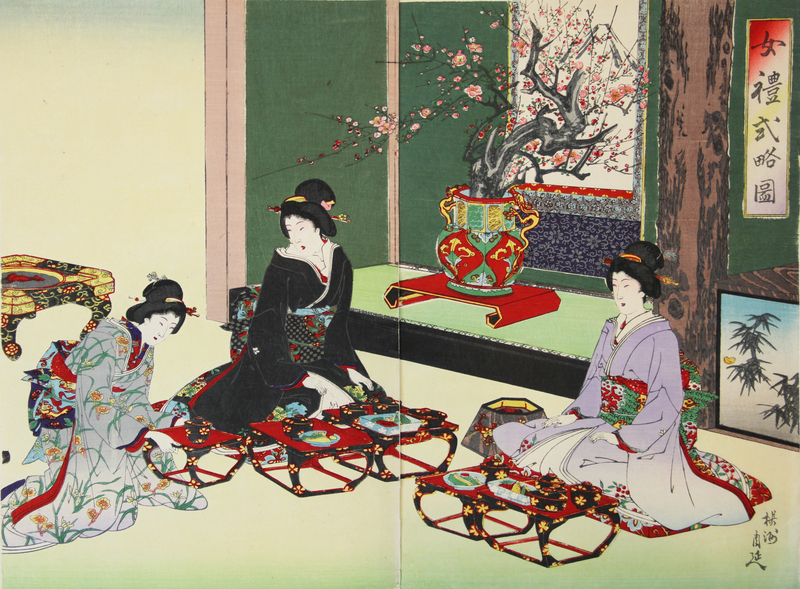 Over the centuries, as fashions changed and fortunes declined, these galleries were dismantled and their beauties sold off. Our painting was originally octagonal in shape, and, at some point in its history, supplemented with corners, and framed as the rectangle it is today. The sculptor Giovanni Nicolini won fame and fortune in the 1910s, and kept two studios in Rome and Palermo humming until his death in the 1950s. He exhibited at the Venice Biennale, and was compared by Primo Levi (no less) to the great Michelangelo (no less again), architect of St. Peter’s in Rome where Nicolini’s over-life-size marble of St. Eufrasia surveys the nave. Nicolini also made his mark in Havana with an enormous monument to General Jose Miguel Gomez. On a smaller scale, he sculpted portraits of the great composers, poets, and statesmen of his day, including Verdi, d’Annuzio, and Italy’s king, Victor Emanuel II. The identity of our Roman beauty – signed “G. Nicolini Roma” – is a mystery. This haunting image by Eugene Berman was painted on a sheet of paper that was cut in the shape of a heart, mounted to a paint-speckled ground, encircled with metal shavings, and placed in a frame of the artist’s own devising. The title, Radiograph of a Heart, refers to the medical X-rays that doctors had recently come to employ. Berman, however, seems to suggest that while a heart can be monitored scientifically, the emotions traditionally ascribed to it lie beyond the grasp of medical science. Russian by birth, Berman fled St. Petersburg for Paris after the revolution. Then, as a jew, he fled Europe before the outbreak of World War II. Having taken a comfortable refuge in New York and Hollywood, his peace of mind was again shattered by the suicide of his wife, actress Una Munson (who played Belle Watling in Gone With the Wind). That distressing event — “Don’t follow me” she admonished in a suicide note — cast him adrift once more. He would come to rest in Rome, where he passed his remaining years. Along with his brother Leonid, Pavel Tchelitchew, and Christian Bérard, Berman was a painter of the Neo-Romantic school. The works of these artists were avidly collected in the 1930s and 40s by, among others, Alfred Barr, founding director of the Museum of Modern Art. Since then, the school has fallen out of favor. Should fashion reverse itself yet again, perhaps their paintings will emerge from storage, and resume their places on those hollowed walls. A Louis XVI trumeau mirror with a trophy of musical instruments, circa 1780. Oak and mirror plate. 81″ high, 36“ wide. $15,000. “Don’t forget, there were people with good taste in the 18th century, too,” said Eugenia Errázuriz to Jean-Michel Frank around 1930. This apercu might have surprised the young designer of modernist furniture and interiors, who was just then coming into his own. After all, in addition to being his client, Errazuriz was an intimate of Picasso, a patron of Stravinsky, a backer of Diaghilev’s Ballet Russe, and, on the cusp of seventy, a client of Coco Chanel still. Fashionable Parisians were then enthralled by her minimally-furnished house, where, following her dictum “elegance is elimination,” she hung just one of her Picassos on the whitewashed salon walls. But if they looked closely, as Frank undoubtedly did, they would have noticed among the modern furniture and Giacometti lamps that Frank supplied, some fine Louis XVI antiques. With her words ringing in his ears, and her 18th-century furniture before his very eyes, Frank set about designing the Louis XVI-style pieces that would come to round out his furniture line. His versions, however, were no mere copies, for he made the tried and true look decidedly new by emphasizing line and proportion, substituting humble oak for exotic woods, eliminating superfluous ornament, and abstaining from painted and gilded surfaces. Meanwhile, across the English Channel, the decorator Syrie Maugham, who happened to be a client of Frank’s, trawled the countryside for 18th-century antiques on the cheap. She sent her finds to refinishers for stripping — a sacrilege to be sure, but the result, which emphasized form, became so fashionable that soon the only antiques not in danger of being stripped were those that were safely lodged in museum collections. Fast forward to the present, and our handsome Louis XVI trumeau mirror, which had been stripped to the oak decades before we bought it. We decided not to repaint and regild the frame because that would erase a chapter of its history and the history of taste. Besides, as Errázuriz and Frank understood, line and proportion trump surface decoration every time. These qualities, and the trophy of musical instruments – flute, horn, tambourine, triangle, violin — are what make our mirror sing. When carved in the 18th-century, the trophy would have been recognized as an allegory of music, just as the branch of laurel would have been associated with Apollo, god of music, who wore a wreath of it in his hair. The charm of trophies representing the arts, the seasons, and the sciences, have lost none of their appeal since the reign of Louis XVI. 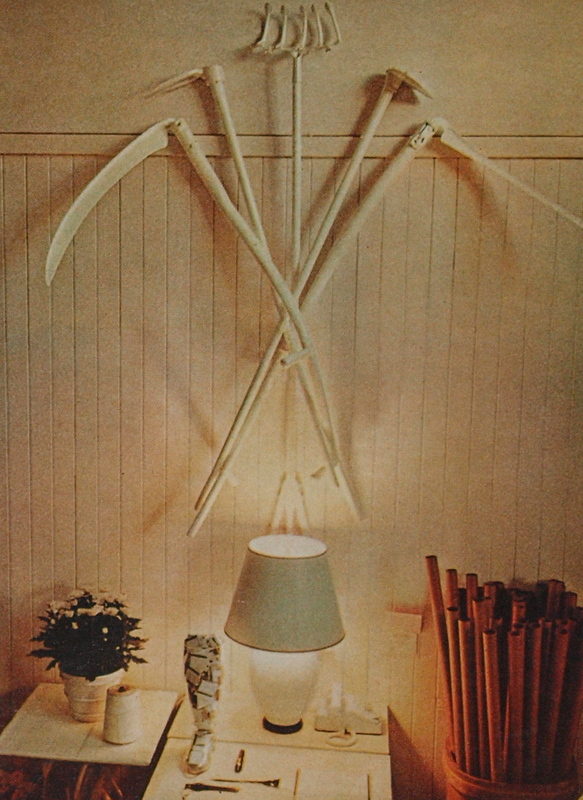 In the 1970s, San Francisco designer John Dickinson updated the trophy of agriculture by assembling a group of actual farm implements, painted them white, and mounted them to his studio wall. Thus did Dickinson, an admirer of Frank, Maugham, and 18th-century French design, revitalize the trophy and reinvent chic. This elegant vase of attenuated proportions was given an unusual silver-luster glaze, and embellished with two medallions on a military theme. One depicts a young soldier with a sword and statuette of Athena, goddess of war. The other depicts an older, bearded, and helmeted warrior visiting a shrine. There’s no maker’s mark, but the classical proportions, Wedgwood-blue color, and antique-inspired medallions suggest English manufacture, circa 1800, and align the vase with the refined taste of Robert Adam. This charming 19th-century Victorian birdhouse was modeled on the Neo-Gothic mansions that were then being built, and inhabited, by potential birdhouse buyers. Cast in iron, dated 1868, and marked with the name of its Rhode Island maker, this birdhouse retains the original, and pleasingly distressed painted finish. An identical one was shown in the Houston Museum of Fine Arts’ exhibition The Gothic Revival Style in America 1830 to 1870, and published in the catalog. The so-called Bilbao mirrors were made around 1800 in Portugal and Spain, and named after the city where many were crafted. On our shores they’re often mistakenly said to be American, for the simple reason that examples were found in old New England houses. Nevertheless, these mirrors were made on the Iberian peninsula, and dispatched to the republic on swift clipper ships laden with cargoes of port wines. Only then did they come to take their places on the walls of the Early American home. When new in the 1920s this glamorous pair of chairs, that merge Asian and Art Deco styles, evoked the orient for occidental buyers. Although the construction suggests Western manufacture, the carved and gilded medallions appear to be the handiwork of the Asian artisans who were then working in Paris, London, and New York, for retailers, dealers, and importers like C. T. Loo and Yamanaka. Every contour and plane of this exquisite mahogany table is outlined with glinting brass stringing — a hallmark of Russian cabinetry. 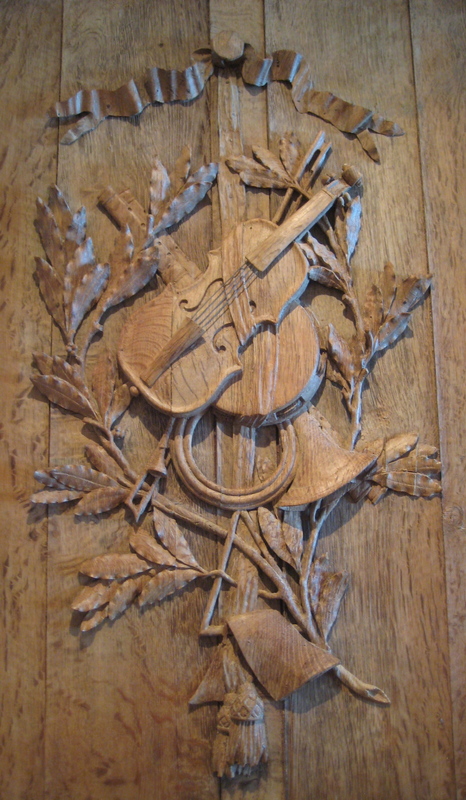 The form, however, is derived from the furniture that was then being made in France under King Louis-Philippe. At the time, Russians were besotted by all things French, in spite of their recent war with Napoleon that left Moscow in cinders. 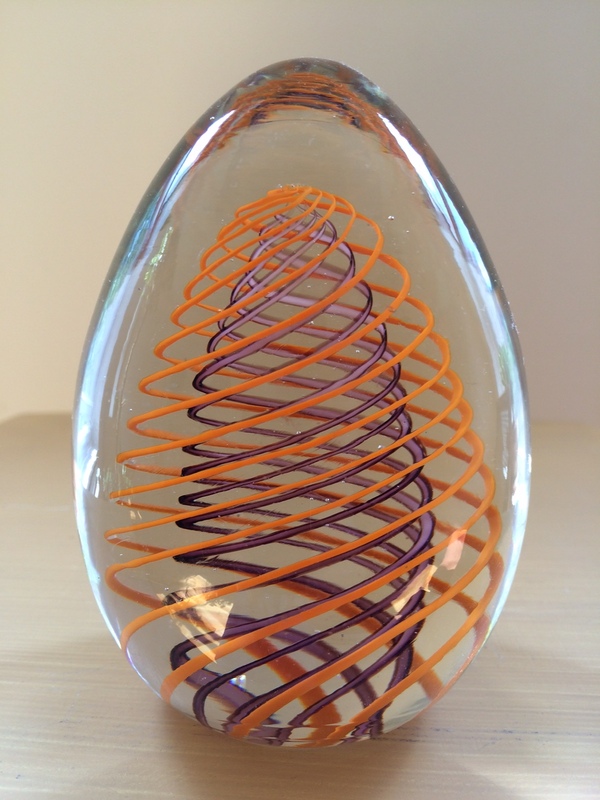 In the 19th-century, the Birmingham firm of F. & C. Osler was celebrated for their line of innovative glass products. They exhibited in all of the great world’s fairs, where their stylish wares caught the eyes of English lords, Indian maharajas, and a king of Egypt. This large spectacular lamp is made entirely of gilt-metal-mounted glass. This floor lamp may have been designed by Jacques Adnet — see the similar model below — when he served as the artistic director of the Companie des Arts Français in Paris. Then again, it may have been designed under his influence by the New York decorating firm of McMillen. In either case, it was owned by Doris Duke, the heiress, socialite, philanthropist, hortological patron, and noted art collector. She had it at Duke Farms, her vast McMillen-decorated New Jersey estate. There, presumably, it graced the modernist, black-painted bar room adjacent to the Olympic-sized indoor swimming pool. The delicate, lightweight chiavari chair was first made in the Italian town of Chiavari in the early years of the 19th century. Their elegance and grace would come to charm mid-century modernists, including the influential architect and designer Gio Ponti. As he was the first to admit at the time, they inspired his Superleggera chair, perhaps his most iconic design. These silken mohair rugs have been made for centuries by the nomadic peoples of Anatolia, and are still being made today by their descendants in what is now modern Turkey. When on the road they were worn as cloaks, and when in camp they were used as blankets, and laid on the earth in tents. During the winter the soft mohair tufting was kept against the body for warmth, and reversed to the cooler, mat side during the summer. This flowering urn of gold flowers in a silver vase was probably made in Genoa in the early 18th century. If the flowers are are lilies, symbol of the Immaculate Conception, and carnations, symbol of the Virgin’s love, it may have been made for the altar of a church [see below]. But if those lilies are actually tulips, which don’t symbolize much of anything, it may have been made as a decoration for a grand private house. Flowering urns on altars, it should be noted, were typically one-sided, since they were seen frontally, whereas this one was sculpted in the round. Whether destined for a sacred or secular setting, the sophistication of form, fine workmanship, and costly gilding, point to a prominent studio and a patron of note. This French Baroque, solid-oak table has two pivoting legs to prop up hinged leaves. When left hanging the table’s a compact rectangle, with one raised it’s a half circle, and with both raised it’s an oval that seats six. Between meals, with cutlery stashed in two long narrow drawers, it does triple duty as a desk and display table. Its versatility suits the small Manhattan apartment, and when fully extended and heaped with books and objects, it makes the grand statement in a Hamptons manse. 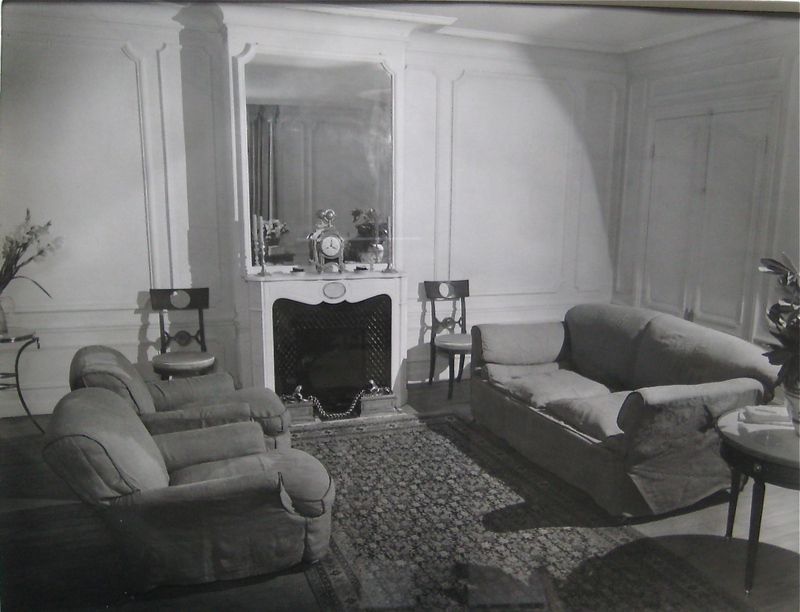 In the 1930s, gossip columnists christened the sophisticates who frequented swank restaurants and nightclubs, and lent their presence to opening nights, “Café Society.” When it came to furnishing their homes, they favored streamlined classics over genuine antiques, and hard-edged modernist designs. This pair of over-scaled chairs were said to have graced a Chicago interior that was decorated by Samuel Marx. Perhaps so, but they were probably made by William Quigley, who made much of that celebrated designer’s furniture, and designed his own too, which was sold in his Lake Forest and Chicago stores [below left]. The sweeping lines of the back and seat, the white leather upholstery, and the fluted mahogany legs are a sleek riff on the George III style. And those brass-rope handles, permitting the chairs to be dragged hither and yon, would have come in handy at cocktail hour on the servant’s night off. The origin of this jug, with its sculptural form and copper-luster glaze, is a mystery to us. Its form is typical of Renaissance and Baroque metalwork [below right], as the copper glaze is of Hispano-Moresque ceramics made in Spain [below left]. But then it could have been made in Latin or South America by an artisan inspired by those wares — or, for that matter, in Spain or the Hispanic New World around 1900, when vernacular traditions were revived. In any case, the monumental form and gutsy decoration endow our jug with a boldness that bears witness to an unknown craftsman’s mastery. This Neo-Classical painting, an allegory of summer, would have been hung with representations of fall, winter, and spring, over the doors of a salon [below left]. Here, Ceres, Roman goddess of agriculture, points to her handmaidens harvesting wheat, and wears a few springs of it in her hair. A child toys with succulent fruits in a basket. The harvest, a child, and fruit, symbolize fertility and, by extension, summer itself. Our panel was painted to imitate a bas-relief carved in stone, with shadows cast upward to conform with light emanating from windows and candles below. Trompe l’oeil panels were in vogue, but not invented, in late 18th century France when Belgian-born artist Piot-Joseph Sauvage, who specialized in them, was appointed Peintre du Roi. In the 1930s, the fanciful geometry of the 1920s Art Deco style softened to a Streamline Moderne sleekness. Then, industrial designers relied on wind tunnels to study drag on airplane, car, train, and ship models — it would seem that furniture designers did too, judging from the aerodynamic contours of their stationary furnishings. This set of six streamlined sconces have chromed back plates to amplify light, and ropes of acid-etched pearls to diffuse it. The effect would have flattered the platinum goddesses of that age, as it will the more casually-dressed ones of our own. Mrs. Harrison Williams, known universally as Mona, was the beautiful wife of the first billionaire, and the world’s richest man. In 1933 she set her own record when a panel of experts, which included Coco Chanel, voted her “Best Dressed Woman in the World” — the first American to be so honored. 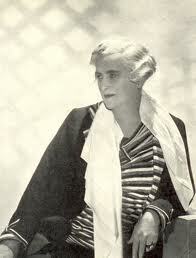 Mona also smashed records for the accumulation of luxury goods, and the speed of her social ascent (the daughter of a Kentucky stableman, she would go on to marry Count Edzard von Bismarck, among others). All this took some effort, and left little time for reflection. Our 1940s photograph by George Platt Lynes [below left] captures her hard glamor, and hints at a lack of substance, by juxtaposing her perfectly coiffed head with a fluffy dog, a perforated-paper backdrop, and the carved openwork back of a settee. We lent this vintage print, the only one known, to the exhibition Magnificent Mona Bismarck at the Frazier Museum in Louisville [below right]. No catalog was published, but Scott Rogers, the curator, is writing a book on her life, and that fugitive thing known as style. Hers, however, continues to enthrall the fashion world to this very day. This French lamp was probably made in the late 1840s, during the reign of King Louis-Philippe. Its pair of textured, black-painted shades are unusual. They were mounted to a base of finely worked and turned patinated bronze, which was spot-burnished to bring out gold highlights. Originally candle powered, has since been delicately drilled for electrical wiring. During the first half of the 20th century, Baguès of Paris produced the world’s most fashionable lighting fixtures. Their major commissions ranged from 18th-century-style chandeliers laden with prisms for a restoration of the Hall of Mirrors at Versailles, to the glass-beaded Art Deco chandeliers of the Palais de la Méditerranée in Nice, the pleasure dome built by American tycoon Frank J. Gould. Like much of the work of Baguès, our madcap tendril-sprouting urn-form lamps can be situated, designed wise, between Louis-Louis gentility and Art Deco flash. This spectacular pair of rock-crystal-and-ormolu candlesticks was made by Baguès, reproduced in a French design magazine, and retailed by Bonzano, a stylish purveyor of luxury goods in Paris. In the 1940s KK Hannon, a Boston-born socialite in the making, moved to Manhattan, launched a clothing line, designed jewelry for Tiffany, and said yes to a marriage proposal from “Shipwreck” Kelly, the legendary football hero — and then yes again to Peter Larkin, an heir to the 825,000 acre King Ranch in Texas. She would come to say yes twice more before she breathed her last as Mrs. James D. Auchincloss at age 89. Over the span of those years she had come to call Manhattan, the North Shore of Long Island, Dark Harbor, Hobe Sound, London (the Albany), and Paris (the Place des Etats Unis), home. Among her stateside possessions was this superbly carved pair of Louis-Philippe rosewood armchairs, now upholstered in grey felt. The very definition of haute bohème, Misia Sert, a musical prodigy who once played the piano on Franz List’s knee, married, successively, an art publisher, a newspaper baron, and the high-society painter José-Maria Sert. A raving beauty when young, and the apogee of chic to the bitter end, she was also a divining rod for talent. With her affinity for the modern, she inspired Renoir [see his portrait of her below], Mallarmé, Cocteau, Satie, Stravinsky, Diaghilev, and Coco Chanel, whom she introduced to opium and, it was rumored, sapphism. As one might expect of a muse to the intelligentsia, she had a library, which, in that genteel day, meant having a bookplate. And so, Pierre Bonnard, who had painted her often, etched her ex-libris of a flowering potted plant, placed on a dining table, set for just one, in her country house. The use of her first name only suggests their intimacy, and, in a world where there was only one Misia, her celebrity. Bonnard created just one other bookplate for Charles Terrasse, an expert on his work, who wrote the introduction to the catalog raisonne of Bonnard’s prints. There, an etched study for our bookplate appears [below right]. It shows the artist experimenting with various motifs that include the plant, which made the final cut. Our bookplate, however, doesn’t appear in the book. Apparently, Terrasse never saw an impression — an indication of its rarity. 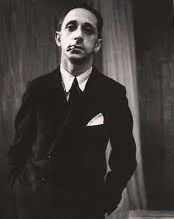 The furniture and interior designer Robert Block achieved considerable success in 1930s Paris. But, as a jew, the outbreak of war left him facing a fate far worse than career disruption. So he high-tailed it to Mexico, and settled in Mexico City with his brother, Mito. There he achieved success yet again as Roberto Block. Until recently, Latin and South American designers didn’t figure on the cultural map, but now they’re a focus of interest among curators and collectors worldwide. This positions Block’s work for a rediscovery. Our table is a inventive riff on the traditional French guéridon — and a nostalgic, over-the-shoulder gaze at the land of his birth.